Last week, following the exchanges that were taking place on travel advisories to the USA, I felt I should weigh in. I didn’t. The issues at hand seemed too big, too heavy to lift. And the discussion felt too old, the way in which it was moving too predictable. It’s as though all our arguments have worn two or three deep and well-trodden channels in the landscape of possibility, and whenever we approach an issue, whatever that issue, they fall into those grooves. But those grooves don’t lead us anywhere new. Here are some of the things I was thinking I wanted to write last week. I admit it: I was proud that our Ministry of Foreign Affairs issued a travel advisory for the USA. I do not regard it as frivolous, although I fully recognize that there was in all likelihood a sense of smug comebackery in its origin. It is dead serious, and here’s why: black Bahamian men who rarely if ever get stopped by police here in The Bahamas and who have never been personally menaced by the “criminal” element here at home have been, and are still, routinely stopped in the USA for that violation commonly known as DWB (Driving While Black). For the most part, these men are professional, middle-aged, and “respectable” (whatever that means), and several of them have told me that they do not intend to travel to the USA anytime soon. Being in any place where an altercation is likely to break out in Nassau, as the potential for being harmed or even killed as so-called “collateral damage” to the high interpersonal violence that plagues our society. As Christian Campbell has astutely observed: one does not cancel out the other. We can chew gum and walk at the same time. Both can be, and are, deadly true. We have a problem here in The Bahamas. But that does not mean that the USA does not have an equal problem. That does not mean that the travel advisory is petty or irrelevant (even though pettiness can certainly be identified in its issue). And that does not mean that living in the Bahamas is at all safe. The issues at hand are different and the same, all at once. Different, because the places are different. The same, because the origins are linked. 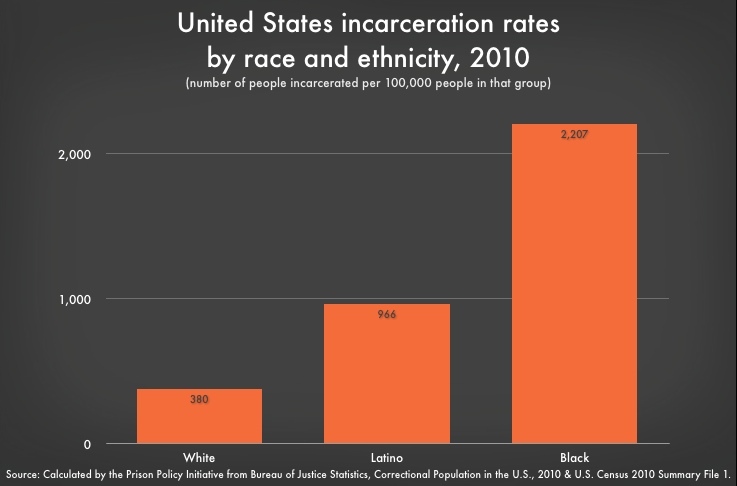 It is no accident, I believe, that the USA has by far the highest incarceration rate in the world, or that African Americans constitute the largest percentage of those incarcerated (or that, in terms of overall populations, more African-Americans per capita are incarcerated than any other ethnic group in the USA). Nor is it an accident that the Caribbean the highest murder rates in the world (or that Latin America is not that far behind). What we who live in this region of the world persistently and critically overlook is the fact that our region was built on the twin evils of genocide and slavery. Forget the fact that it is arguable (though probably not supportable) that the people engaged in those two evils were unaware of the magnitude of the wrong they were doing. Their intentions do not matter. What matters is what they left behind: a system throughout the Americas that was designed to subordinate and dehumanize large numbers of people, while at the same time it protected and enriched other groups. It is no accident that the American debate on the right to carry firearms is highly charged and usually linked to the question of individual and personal safety—guns are considered instruments of protection for Americans—but protection against what? Against whom? I would argue that the settlers throughout the Americas have always seen themselves as being under siege (and, let’s face it, when you steal people’s land and enslave people’s children, maybe you are indeed under siege). And so they created settlements, towns, cities that were legal fortresses against the dangers they perceived. The second amendment, while originally written to defend the right of the settlers to self-governance, very quickly became the right of the invaders to defend themselves against the displaced, and then the right of the oppressors to defend themselves against the oppressed. When you look closely, the right to bear arms can be decoded as the right of white Americans to bear arms. It’s the settler mentality, and it is part of the legacy of the frontier, the legacy of native “pacification”, of African forced labour. The very foundations on which the so-called “New” world rest have already decided which lives matter, how much, and for how long. Which leads me to this. You cannot build a society on egregious violence and expect to live in peace. You can cocoon yourself. You can, if you are a member of the groups which were traditionally protected by the webs of laws and prisons from the dangers that your founding economic and social systems created, imagine that life is fine and smooth and comfortable. But it is not. Your personal safety, and mine, in fact depends on a social structure that is inherently violent, inherently inhumane, inherently built on the idea that all lives do not matter. So until we face these facts and recognize that we must systematically dismantle all of the pillars on which our post-genocide, post-slavery American societies were raised, we cannot hope for peace in this world. And as Erin Greene has suggested: one way we can begin that dismantling is by instituting reparations for those wrongs. But that is another argument for another time. Featured image on this page Remixed by Chris Ritter using Paper by Fifty-Three. Brilliant and scorchingly honest……. as always.